GROW is a young start-up initiated in January 2018 in Benin. 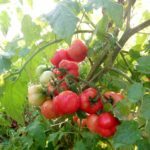 Our vision is to provide quality food to consumers by offering producers hybrid seeds and pure lines of fruit vegetables (tomatoes, peppers, eggplant), bulbs (onions), and tubers (potatoes). 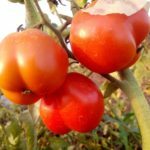 GROW currently provides to producers a unique make of tomato seed « TOMSeed » with high yield. 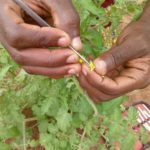 From local cultivars (Tounvi, Kêkêfo, Akikon, Ahougbo, Gbogan), we have developed and differentiated tomato seeds that are especially suitable for cooking and processing, and tomato seeds that can withstand drought and other environmental constraints. 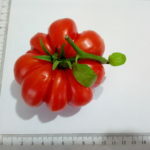 GROW offers tomato seeds of various shapes (elongated tomato, ovoid tomato, round tomato, lobed tomato, tomato pepper) with plants capable of producing a large number of fruits. The seeds (hybrids, pure lines) of GROW are efficient (high yield) and adapted to the different production conditions and can satisfy the varied needs demanded by producers and consumers. Indeed, the seeds were developed from local cultivars. 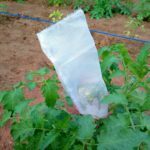 Our products are intended for different market gardeners in urban and peri-urban areas of the Grand Nokoué in Benin (Houeyiho, Ouidah, Kpomassè, Grand-Popo, etc.) and to producers in rural areas of Benin. We also plan to expand in the long term our products in the sub-region’s markets such as Togo, Nigeria, Niger, etc.